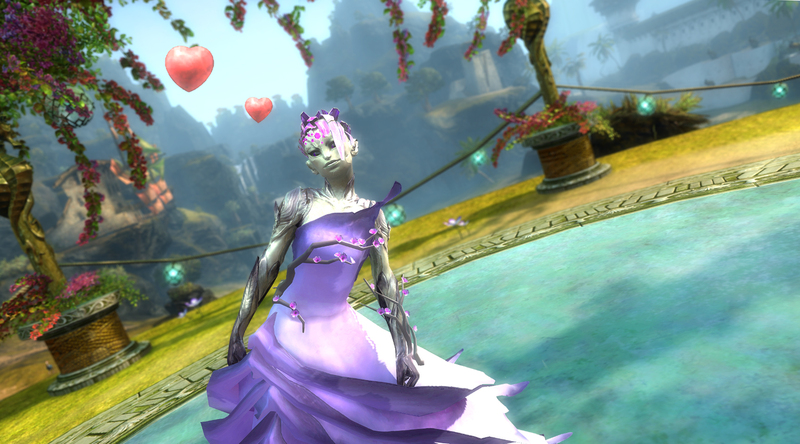 Last February, we asked Tyrians to share stories of real-world relationships—with friends, family, significant others, and guildmates—that began or grew while playing Guild Wars 2. The response was overwhelming, and we received so many heartwarming, funny, and moving submissions from around the world. If you’re new to Guild Wars 2, we want to hear about the bonds you’ve forged in game and the experiences you’ve had with other players. Did you join an awesome guild, tackle a challenge, or learn something new with a little help from your friends? If you’re a veteran Friend/Shipper, tell us how you and your companions are doing! Have you found a new favorite activity? Do you keep up with Living World together? You can share your story as a text post, include screenshots, or even capture it on video—it’s up to you! 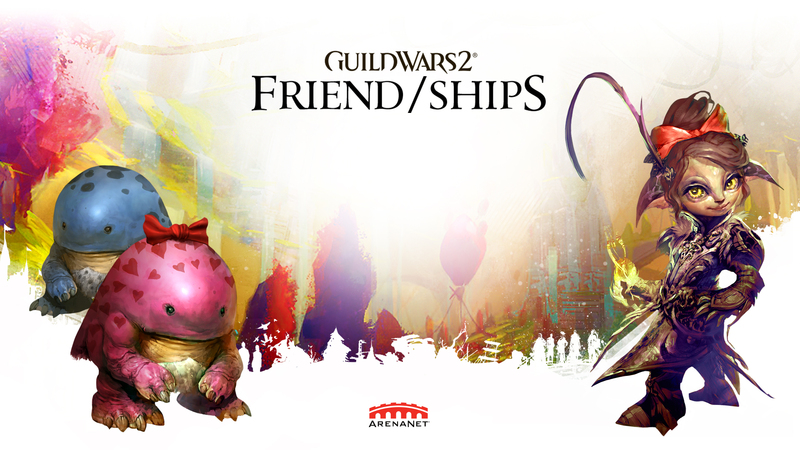 Tag it with #GW2FriendShips on YouTube, Twitter, Instagram, Tumblr, or Facebook, and we’ll collect them on a special page on the official Guild Wars 2 website for the whole community to read. Add the #GW2Giveaway hashtag as well, and your qualifying post will be entered in our sweepstakes. We’ve got great prizes to give away: twenty winners will receive 800 gems, five winners will receive a custom art commission from our creative partners, and one grand prize winner will get a trip for two to gamescom 2019! For more details, please see the official rules and regulations. Log in to Guild Wars 2 throughout the month of February and visit the city of Lion’s Arch—you’ll get an achievement and an Endless Friendship Tonic to show how much you care! Eir’s Legacy Longbow, Cosmic Harvesting Tool, and Returning Wintersday Items Are Here!